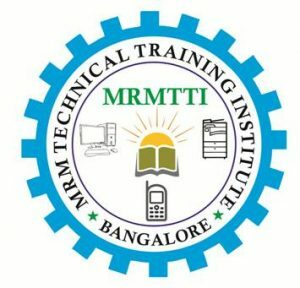 MRM TECHNICAL TRAINING INSTITUTE one among the reputed technical training institute offering chip level training for laptop, desktop, mobile and printer . We are providing for more than five years in technical training in the field of computer hardware and chip level services .chip level training was taught by well experienced faculties with both technical and real time servicing knowledge. this types of technical training very useful for job seeker and self employment support to develop your own business.. Our company will give training for all types of laptops, desktops, mobiles and printer with different company’s model. We have well equipped lab, expert faculty and best chip level training infrastructure to conduct all technical courses .MRMTTI institute having all kind of laptop repairing tools, mobile repairing tools like BGA rework station, RAM Tester, CPU socket tester, solder path, DC machine, CRO, Laptop battery tester, SMD Rework Station etc, the class for chip level according to students flexible timings, like regular batch , special batch and online training. MRMTTI gives you life time back up support. MRM technical training institute gives 100% practical oriented class , which students can get cleared doubts while doing service,and also after completing course . MRMTTI gives the students spares supports, wholesale and all other guidelines towards self employment .we are giving special training for laser printer , inkjet printer ,dot matrix and MFP Printer also. Our staffs can handle different languages likes, English, Tamil, Telugu Hindi, Kanada. All our courses taught by CONCEPT ORIENTED TRAINING .we are developing multi skilled technical service engineers. Theory, Practical and Practice based teaching methodology.